Change is a journey. Sometimes you have a map, or a guide, or signposts, but usually just a long and winding road (if that), with the occasional fork or crossroad. Change is like scaling a cliff or climbing the stairs. You can have fun with the idea, too. Change is also transformation, growth, decline. You can pun about change. 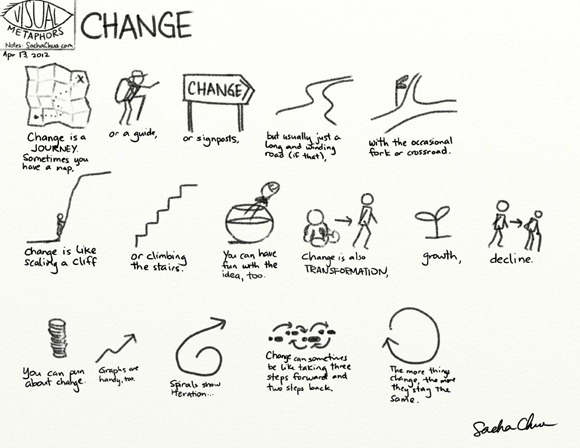 Spirals show iteration… Change can sometimes be like taking three steps forward and two steps back. The more things change, the more they stay the same.